Hackney, where high art and edgy innovation meet. Whether you're looking for a bite to eat a quick coffee or a wonder around one of the beautiful 62 parks and open spaces, Hackney will never leave you short of something to do. Exploring the bustling markets and shops you will find food from all over the world; flowers that could brighten anyone's day, and clothes to suit anyone's ideal... you're spoilt for choice! Along with the new age, history stands prominent in the borough with many listed buildings standing tall today. Sutton House, on Homerton High Street, is the oldest surviving dwelling in Hackney, originally built for Sir Ralph Sadleir, a diplomat, in 1535. The first historic room you enter, the Linenfold Parlor, is the highlight of the property, where the Tudor oak paneling on the walls has been carved to resemble draped cloth. Other significant rooms include the paneled Great Chamber, the Victorian study, the Georgian parlor and the intriguing mock-up of a Tudor kitchen. There is also a shop and pleasant cafe on site. "Hackney, where high art and edgy innovation meet"
West of Sutton House in the restored St John's Churchyard Gardens, is 13th-century St Augustine's Tower which is all that remains of a church that was demolished in 1798. On the last Sunday of the month (2.30pm to 4.30pm) you can climb the tower's 135 steps for fantastic views across the borough. The village of Hackney flourished from the Tudor to late Georgian periods as a rural retreat, notable residents from the 17th, 18th, and 19th Centuries included Robert Aske, William Cecil, Samuel Courtauld, Samuel Hoare, Joseph Priestley and Thomas Sutton. If history isn't for you then not to worry, the possibilities are endless. Whether it's a trip down to Hackney City farm with the family or spending the afternoon at The Geffrye Museum. As well as being a gorgeous piece of 18th century architecture, the Geffrye houses collections of furniture and textiles from middle-class English homes from 1600 to the present day, reflect the progression of tastes, fashion and society. Explore the 11 period rooms, roam the handsome gardens and chill with a cup of tea in the cafe. Best of all, entry is free! If you are a fan of art then a collation of small galleries open up for free the first Thursday of every month until around 9pm, so take advantage of the city's most exciting, artistically vibrant and culturally thriving borough. 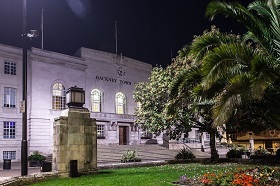 For more information on Hackney, click through to our Hackney Area Guide Local Area Guides.